Rubber bumper with aluminum screw to receive the OB Cue Extension. Please note that when you purchase an OB Cue Extension you will receive one extension and one of these bumpers with screw to receive the extension. However, if you have more than one OB pool cue, you can buy this additional bumper so that you can interchange your extension on multiple cues. 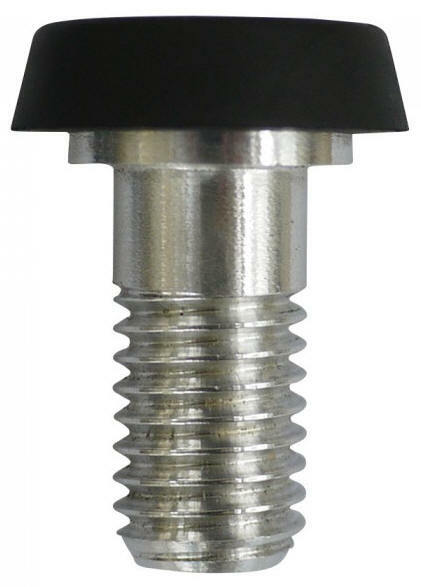 The bumper with aluminum screw weighs 0.4oz (FYI: The original OB bumper that you will remove from your cue weighs 0.2oz). Please note: To properly tighten down the extension bumper with aluminum screw, you will need to use a 5mm allen wrench (not included).